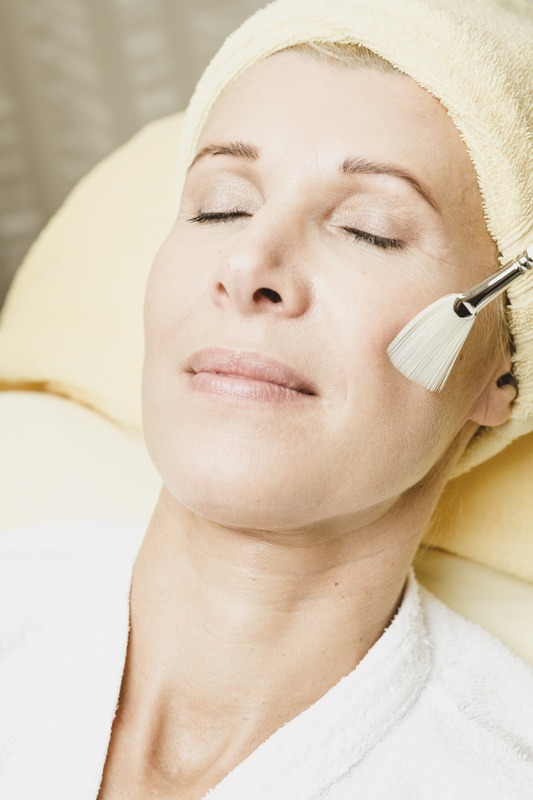 Let us pamper you with an equisite facial. We use beauty products from !QMS, Thalgo and St. Barth. Your skin ties more moisture and the cell regeneration will be stimulated. It gains in elasticity, resilience and suppleness. Look younger and more vital! Facial steam bath, removal of blemishes, eyebrow shaping, deep exfoliation, facial massage, refreshing algae modellage, collagen elixir to retain moisture, hyrdolage with nutrients for regenerating. A cleansing relaxing treatment which stimulates the metabolism. Cosmetic therapy to improve the tissue structure to strengthen and tighten your skin. A special collagen which is responsible for the elasticity of your skin is activated and stimulated to grow. Environmental pollution, stress, sun and nicotine leave visible traces on your skin. This treatment counteracts these negative influences. Pallid complexion, poor circulation and dry skin excellently responds to this treatment. Particularly effective after the !QMS Classic treatment. Would you like to look especially radiant today? This exclusive facial treatment is invigorating, refreshing and relaxing. A tingling invigorates the senses – just like champagne! New power for your skin! The magic formula is called QMS + oxygen – and the result is stunning. Wrinkles disappear almost completely. Probably the gentlest way to look years younger. With our “Oxygen Energy Applicator” QMS-collagen with highly concentrated oxygen is supplied into the skin layers. The result is visible already after the first and extremely pleasant treatment. For the continued success we recommend 3-5 applications. And your youthful radiance will return! Exfoliation, deep cleansing, massage with active ingredients and care pack with maritime ingredients, individually tailored to your skin type. A balancing, clarifying special treatment for impure, oily skin. Pure, micro-pulverized algae supply minerals, vitamins and trace elements to detoxify and purify the tissue in a natural way. Bathe your skin in a sea of maritime moisture. The revitalizing hydra-mask combines Sève Marine with maritime nectar, polysaccharides and algin. Already after the first treatment the skin is soft, supple and fresh – dry skin and tension have no chance! A cooling sea breeze for stressed skin. Soothe your irritated skin with this cooling, invigorating anti-stress special treatment from an algae-plant mix with milk and clay. The soothing and decongestant effect leaves your skin fresh and feeling smooth. Distinct crinkles get padded and smoothed by the complex of maritime Hyaluron. The skin appears compacted and well-proportioned. An deeply relaxing and refreshing treatment of face, neck, décolleté and hands. The effect of high-quality skin care products with natural vitamins and minerals is intensively clarifying and stimulates the natural activity of the skin. For a clear, even and fresh complexion. Deeply relaxing treatment, now with fresh fruit. Facials especially adapted to men's skin. An anti-stress treatment with menthol, camphor, allantoin, chamomile, witch hazel and algae extracts. The application with white clay has a vasoconstrictor and cooling effect – like a refreshing sea breeze. Swellings are decongested, wrinkles softened and the skin tightened and you feel rejuvenated. In this refreshing treatment Thalgosome penetrate the skin together with the intensely moisturizing ingredient complex Sève Marine. This ensures ideal, long-lasting hydration. Our “love your feet” pedicure. Paraffin hand treatment leaves your hands smooth and soft.